MUNYONYO – The Inter-Party Organisation for Dialogue-IPOD summit has kicked off at Speke Resort Hotel, Munyonyo. 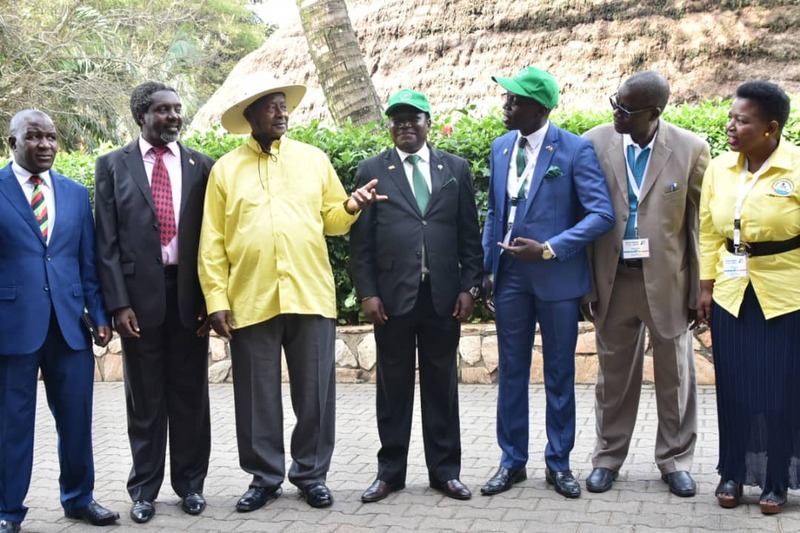 The summit opened at 10:00 am shortly after the arrival of the National Chairman of the ruling National Resistance Movement (NRM), President Yoweri Museveni. Also in attendance is Democratic Party (DP) president General Mr Norbert Mao, Uganda People’s Congress-UPC faction president, Jimmy Akena, and Justice Forum’s, Asuman Basalirwa. This is the first time that political party leaders are meeting under the IPOD umbrella. The largest opposition party, Forum for Democratic Change (FDC) snubbed the meeting. IPOD brings together political parties represented in parliament. IPOD is hosted and funded by the Netherlands Institute for Multiparty Democracy (NIMD). Frank Rusa, the NIMD Country Representative and IPOD Executive Secretary in his opening remarks said it has not been easy to bring together the party leaders for the summit. The summit is themed strengthening multiparty democracy in Uganda. He said this is the beginning of the process that will improve multiparty democracy Uganda. The summit is expected to come up with action points and themes for further discussion. On the agenda, Secretary Generals of the four political parties will give speeches briefing the audience what has been happening in the IPOD council before party presidents go for a private summit. Rusa says once the leaders return; each party president will talk on what they have agreed on as well as the implementation modalities. Discussion in today’s summit is centered on four thematic areas; strengthening political parties to enhance their relevance and effectiveness, consolidation of constitutional and electoral reforms, promotion of inclusiveness in national politics especially in relation to the role of youth and women in politics and strengthening democratic governance, human rights and observance of rule of law.